I like this description of Sans Bakery - a small, part time bakery. Maybe if this architecture business doesn't pan out, M. and I will bake little things in the off hours. Have you noticed the increasing amount of dessert options for our gluten challenged friends? 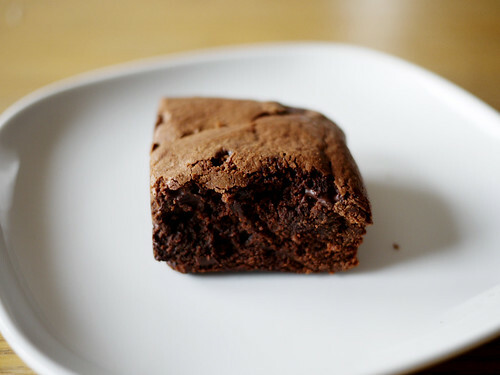 When they taste as good as this gluten-free brownie from Sans Bakery, we are all for it.